When life gives you lemons, you add vodka...errr make lemonade, right? And most certainly I have had my fair share of lemons come my way but where would I be without the trials to feel my triumphs?? As I sit here typing various thoughts of thanks and praise for our recent couple this past weekend in NYC, nestled in one of Brooklyn's most vibrant neighborhoods, Dumbo, I can't help but think of all the lessons learned on that snowy day. It began with the grace Stacey had throughout her wedding day and ended with the giant bear hugs Brandon gave me at the end of the night. The morning started with a cool 3-4 inches of snowfall before noon and that was just the weather! A number of other physical challenges made for a trying day, to say the least, but thankfully Stacey's partner in crime, ride or die best guy and one of my first 'real artist' friends from way back was 110%. In fact, Brandon is extra dialed into the creative tempo that is downtown Brooklyn AND totally on point with knowing what his lady needs. So with 'Bracey Standon' as my official hosts for my first NYC wedding, I was more than happy to be there through thick + thin and, incidentally, pony up! The wedding crew kept cozy in our shuttled sleigh that sloshed us around the cobblestone streets, between the usually colorful walls of Dumbo that were now covered in a thick coat of white dust. Wedding heels where replaced by snow boots and stylish fur was absolutely utilitarian. Making our way to plan C for first look photos, I was thrilled to discover the perfectly filtered light in the temporary snow globe that filled the winter home of Jane's Carousel. Soft but echoing giggles from passing by ponies lightened the mood even more and we'd suddenly flipped the script for a second time that day. 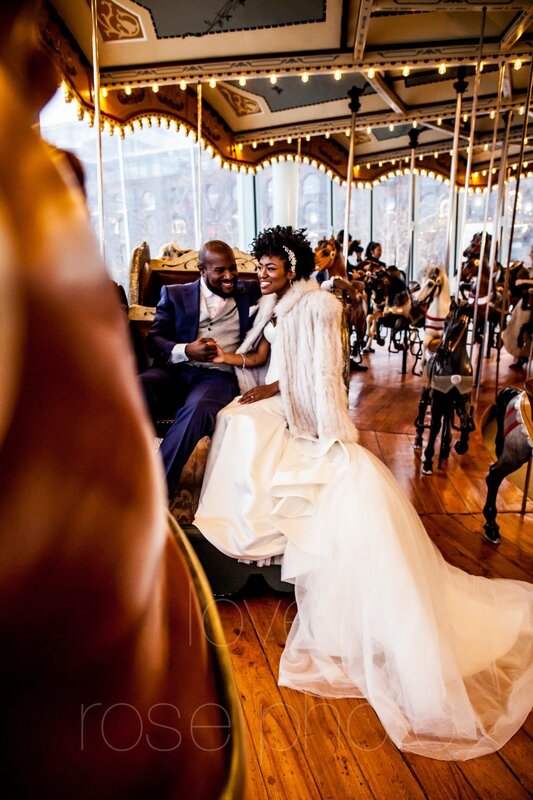 After a short line and a lovely spin on the merry go round overlooking the Brooklyn Bridge, these two lovebirds made their way onto the wedding ceremony at an old synagogue turned wedding venue on downtown Brooklyn's bustling Atlantic Avenue. You enter Deity Events through its gilded gates and travel up and down a series of stairways leading to the varying levels of wedding celebration. I always joke that I never have the same work day twice and here was just another awesome example of yet another interesting 'work space'; truly storytelling never gets old when the story you learn to tell is never the same. Creatives create, teachers teach and the show must go on! 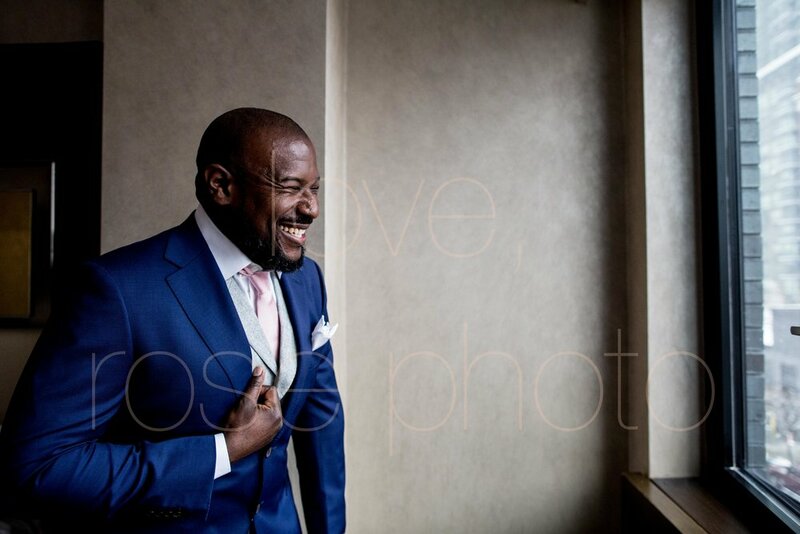 All old adages are rooted in their own form and let me tell you, we got real real on this wedding day. 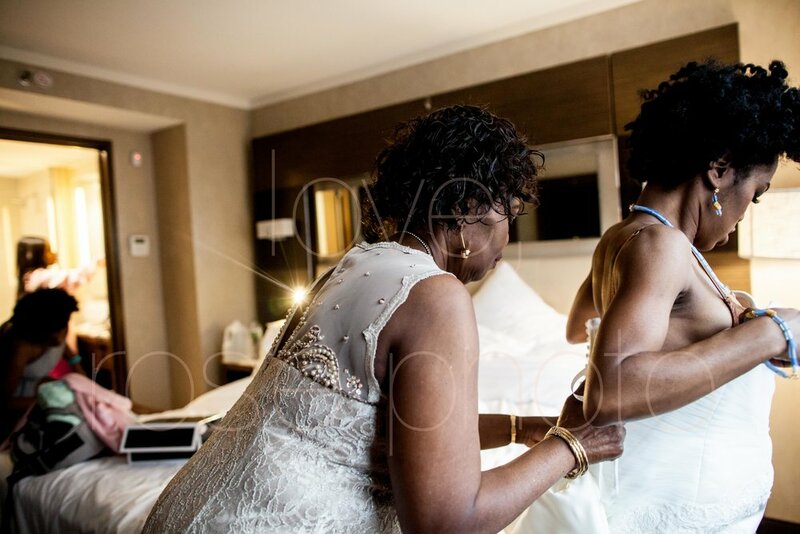 This groom's creations inspire so many friendships, mentorships and now the best partnership of his life, his wife. This bride's lessons offered with kindness and calm will be noted in my life's little book for a long time. Brandon, thank you for introducing me to your new family, for trusting me to make art for you and for being 110%. Stacey, you are a queen of queens, kinder than kind and beautiful in every way. To you both, I cannot wait to ride that carousel again down the road, in the years to come, capturing even more of your love story!